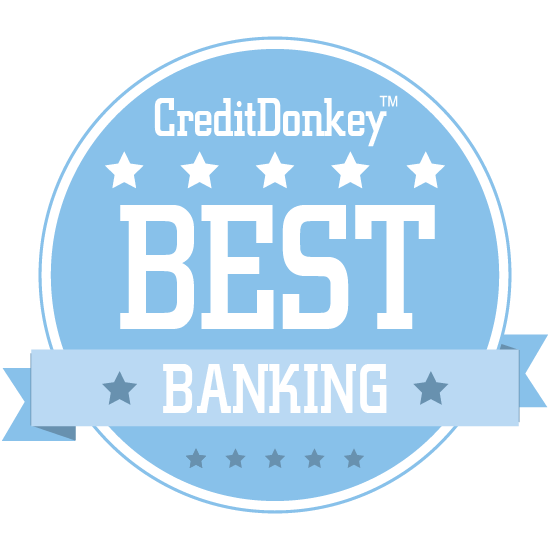 Winners of the CreditDonkey Best in Banking award have been announced. Did your favorite innovator make the list? 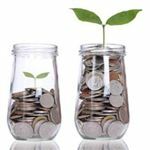 The banking industry is in the midst of a disruption - advances in technology and smart innovations have led many banking startups to hit the market that aim to move savers away from traditional banking. Many traditional banks have clunky mobile apps and out-of-touch systems. They don't always cater to the younger crowd, who may not have a ton of money to set aside just yet. Now, with our list, you can find options for your banking needs that make it easier to check your balances and make changes on the go, keep better track of your due dates (avoid overdrafts), and have an overall smoother experience while saving and managing your money. Before you make any changes, keep in mind the following tips. Do your research: Before entrusting a fairly new company with your information and access to your money, read up on whether you should trust them and look into how they'll keep what's important to you safe. Test the waters: It's not a smart move to transfer your life safe savings from a well-known, proven bank to an upstart. Move a little over at first and see how it goes. Think about the future: What happens if the bank hits trouble? Is it FDIC insured? Ask the tough questions before making a banking switch. BankMobile is online banking, simplified: it takes just five minutes to get started and open high-yield checking and savings accounts, apply for a line of credit, and more. Chairman and CEO Jay Sidhu served as the founder, chairman, and CEO of Sovereign Bankcorp Inc, while co-founder, president, and CSO Luvleen Sidhu was previously a management consultant at Booz & Co. in their financial services practice. Why BankMobile is Best in Banking: Their app also has a number of handy features, including photo bill pay, money management tools, the ability to send money to a friend, and more. They also pride themselves on their friendly, prompt customer service. Kraken is a bitcoin exchange for serious, professional bitcoin traders. Founded in 2011, Kraken Digital Asset Exchange is one of the world’s largest and oldest bitcoin exchanges. Trusted by hundreds of thousands of traders, institutions, and authorities, including Germany’s BaFin regulated Fidor Bank, Kraken is the first exchange to display its market data on the Bloomberg Terminal, pass a cryptographically verifiable proof-of-reserves audit, and one of the first to offer leveraged margin trading. Why CleverCoin is Best in Banking: They know that bitcoin security must be the best in the world and that relationships with banks must be sound, so you can rest assured that your investments will be safe. With 24/7 customer support, top-notch security, the ability to automate your strategy, and many more features, this is an excellent option for serious bitcoin traders. N26 is a European banking startup through which you can open an account in under 8 minutes and run your entire financial life from your phone. Why N26 is Best in Banking: With the ability to manage every aspect of your finances from a single hub, N26 is a banking service for people who are looking for the best in convenience. Working with TransferWire in the background (using their technology and experience in the field), N26 even allows you to transfer money in 19 different currencies, making it perfect for those who travel a lot. 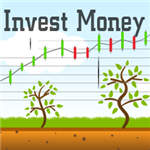 Kreditech's goal is to improve financial freedom for the millions of underbanked with custom-tailored financial products and modern technology. Why Kreditech is Best in Banking: If you are trying to secure credit but have little to no credit history, you are underbanked, and Kreditech is built to help you. They do this by using artificial intelligence and machine learning to generate credit scores even for thin-file customers. Qapital is a personal finance app built to help users save money for the things they love. Why Qapital is Best in Banking: If you think saving money is too hard, this app makes it easy and automatic. 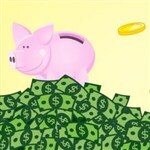 You can choose your savings goals, let Qapital round up purchases to the nearest dollar and save the change, and more. Mambu is a core engine that empowers companies to build, integrate, launch, and service new lending and banking products without the complexity of legacy core banking systems or the cost of in-house solutions. CEO Eugene Danilkis has a background in computer science and design, and worked on NASA projects as an engineer before co-founding and building Mambu. Why Mambu is Best in Banking: Anyone looking for the perfect engine for their digital first banking or lending business should look at what Mambu has to offer. From deposits to loans, it's a flexible platform that's powering financial institutions of all sizes worldwide. BodeTree offers small business solutions for banks and lenders, offering data analytics, streamlined lending, and more. Why BodeTree is Best in Banking: Their goal is to help institutions develop the best possible relations with their customers thanks to increased brand impressions, relevant marketing opportunities, and a cutting-edge financial and customer engagement platform. BodeTree can even give you insight into the financial health of each business you work with so you can help them spot new opportunities. Based in the UK, Monzo is aiming to be a smarter, faster way to bank, with balances that update instantly, no setup or usage fees, and no charges for spending abroad. Why Monzo is Best in Banking: UK customers who are ready to go fully mobile with their banking should check out Monzo's fast, sleek interface and excellent benefits. Their app even includes budgeting software so you can track your spending as you go. solarisBank bills itself as the world's first banking platform that easily integrates with your existing tools to create easier, better digital banking. solarisBank’s approach is strictly B2B2X, thus always working with other companies to innovate in finance. Co-founder Andreas Bittner brings 20+ years of banking experience to the company, while co-founder Marko Wenthin is a longtime entrepreneur who has previously worked with Deutsche Bank and Sofort Bank. Why solarisBank AG is Best in Banking: Based in Germany, this company's modular, API-accessible banking services include gift cards, P2P payments, and more. Small business, startup owners as well as established digital companies looking for a versatile banking platform should definitely check out what solarisBank has to offer. WB21 redefines global banking by allowing you to transfer money anywhere in the world, faster than your current bank, and in 22 different currencies. Why WB21 is Best in Banking: Today's global citizens need a bank that works for the jet setting, international lifestyle, and WB21 aims to be it. It's also easy to set up and open an account; no more spending hours meeting with bank employees. Wirex combines digital and traditional currency for the best of both worlds, with a card that lets you load, spend, save, and receive either type of currency anywhere in the world. Why Wirex is Best in Banking: The accompanying app lets you control your account on the go, whether you want to send, receive, or manage your money. It's incredibly easy to set up your Wirex account, too; no paperwork required. BillGO is an app available in the App Store and Google Play that lets you manage, track, split and pay any bill – even rent – ensuring that your bill payments are never late again. Leadership consists of banking and payments experts, with CEO Dan Holt bringing experience from one of the largest bank technology companies, HEIT, which was sold to CSI. Why BillGO is Best in Banking: If you have trouble tracking and paying your bills, or if you split bills with a roommate, this app will make it all immeasurably easier. It’s easy to use, too; you can connect any bill - ya, that’s right - any bill, and BillGO will send you notifications so that you never miss a bill (or paying a bill) again. Read: Are retail credit cards worth the opening discount? Tokken aims to change traditional banking and payment methods with truly mobile banking; just sign up, link a card or account, and start purchasing. Why Tokken is Best in Banking: Users will enjoy exclusive discounts and rewards they can share with their friends. They also provide online banking privileges to cash-intensive businesses like the legal cannabis industry. Terafina is a smart sales platform for financial institutions, enabling online, branch and call center accounts, loan origination, and more. CEO and founder Meheriar Hasan has 27 years of hands-on experience building North America's largest digital multi-distribution channels for companies like US Bank and Wells Fargo. Why Terafina is Best in Banking: This platform supports multiple products within a single application, which means it's easier than ever for you to cross-sell products and services to your customers. With a consistent, unified experience, Terafina operates the same whether on a call, in a branch, or on a screen, making it a seamless experience for your bank and your customers. TLCengine is a financial program that helps real estate agents look beyond the mortgage to find out if their clients can really afford their dream home. Why TLCengine is Best in Banking: Mortgage costs only make up 50% of the total cost of home ownership; their technology accounts for the other 50%. With 31 lifestyle cost variables to consider, this technology can help real estate agents become the most trusted advisors in town. Blend is new technology that is powering the mortgage lending industry with a digital interface that connects lenders and borrowers and uses data connectivity to make the process quicker and smoother. Why Blend is Best in Banking: This startup is all about simplifying the mortgage lending process; it makes documentation easier than ever and enables lenders to work side-by-side with borrowers for more efficient mortgage closings. Blend's software even allows you to automate time-consuming administrative tasks. Akouba provides a small business loan underwriting platform for community and regional banks so they can reduce end-to-end time, increase profits, and streamline the customer experience. Why Akouba is Best in Banking: Their platform takes data from trusted sources and integrates seamlessly with your brand to create a smooth experience for both banks and customers. Even better, it's been built from the ground up with your customers' safety and security in mind. Rippleshot is technology that detects credit and debit card breaches faster, allowing card issuers, processors, and merchants to be more proactive about fraud. Why Rippleshot is Best in Banking: It detects the initial tiny anomalies that signal the larger fraud to come, letting you play a pivotal role in reducing fraud loss and improving cardholder security. Rippleshot has solutions for card issuers, processors, and merchants alike; check out what they offer so you can be protected. CoinJar is a next-generation personal finance account that makes it easier than ever before to buy, sell, and spend bitcoin. Co-founder and CEO Asher Tan has a background in economics, while co-founder and COO Ryan Zhou is a veteran entrepreneur and bitcoin guru. Why CoinJar is Best in Banking: You can use CoinJar to pay, trade, and sell bitcoin, and even deposit, withdraw, and send money with no fees. A multi-currency wallet allows you to manage all of your digital currencies in one place. Why Backbase is Best in Banking: Their software, the Backbase Omni-Channel Banking Platform, unifies data and functionality from traditional core systems and new fintech players into a seamless customer experience, across all digital touchpoints. Simple is an alternative to traditional banking; it is an all-digital platform that allows you to start an account, set savings goals, and track spending all in one place. Why Simple is Best in Banking: Not only are you not tied to a branch with Simple, but their app can do everything from help you budget to tell you how much spending money you have left for the month. With no hidden fees, ATMs all over the country, and an easy interface, this is a bank for anyone who hates banks. Share on Facebook "Best Banking"